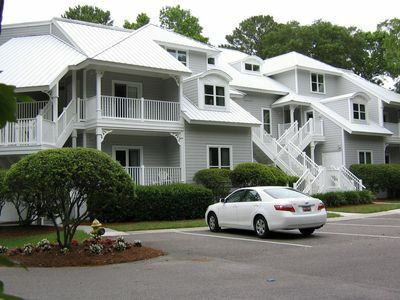 Located at 4 Sea Hawk Ln, Hilton Head Island SC 29928. 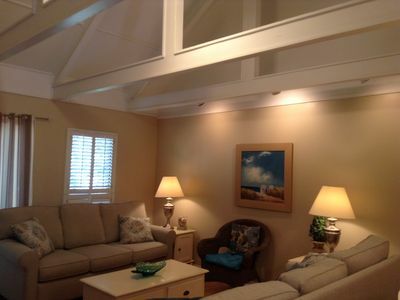 This Private 4BR/3.5 Bath Fourth Row Oceanside Home walks like a third row. 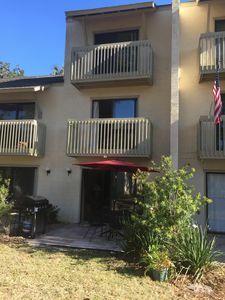 Two Masters with one on Main and one upstairs. 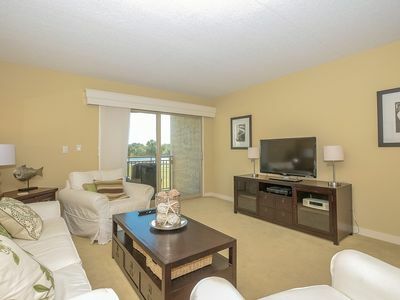 Master on main is on opposite side from upstairs bedrooms. 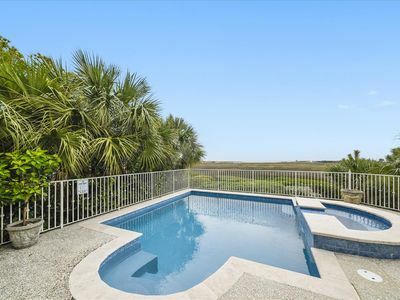 Large family pool with Spa in private backyard. 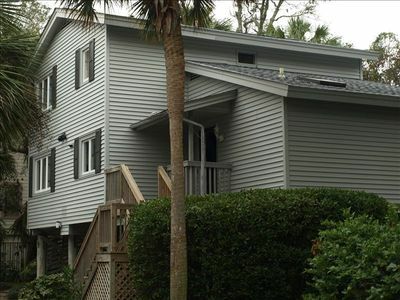 Home is on private dead-end street, no street to cross to get to the beach. 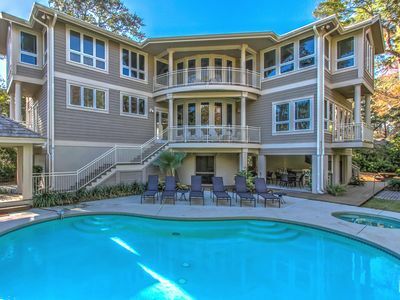 This private and cozy beachside home (with an empty wooded lot behind and across the street) in the beautiful North Forest Beach area of Hilton Head Island is just 125 steps from the private beach at a fraction of the cost of the rental monster homes that have been built on Dune Lane. 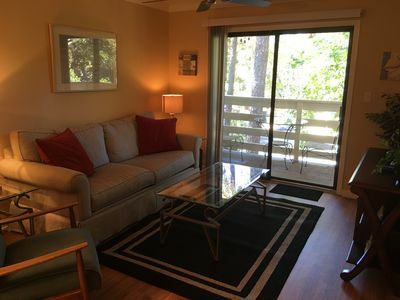 Just across North Forest Beach Drive is access to over 20 miles of paved bike/walk paths with no hills making this a walking and biking paradise. 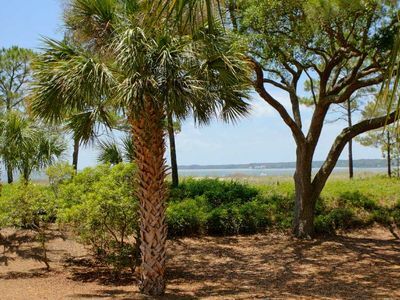 This combined with being in the center of 14 miles of the most beautiful beaches on the east coast guarantees year round beach enjoyment. 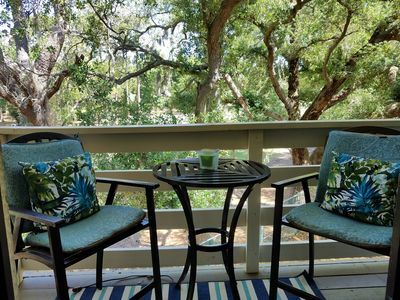 Only 125 steps (@ 60 yards) to the beach and within walking distance of over 60 speciality shops and restaurants in Coligny Plaza grants this vacation home easy access to all you need with minimal driving. 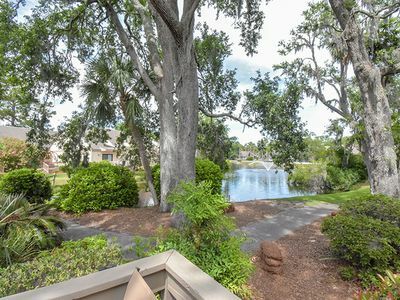 Harbour Town's beautiful sunsets, restaurants, and shops are only a short drive away. 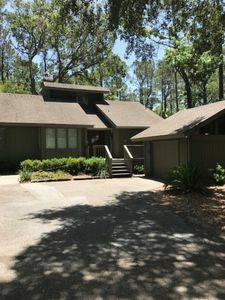 Play a round of Golf, have a look at the harbour from atop the lighthouse, or enjoy a night of fine dining in the Sea Pines gated community. 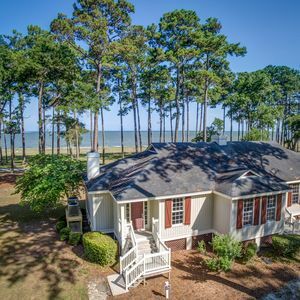 It would be hard not to enjoy a vacation at this home if the beach and water are what you are looking for! 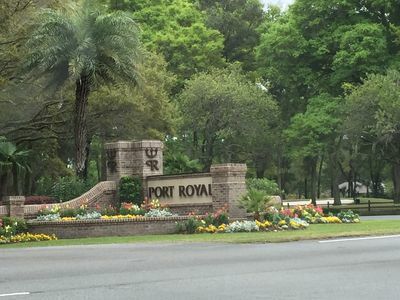 Sea Pines! 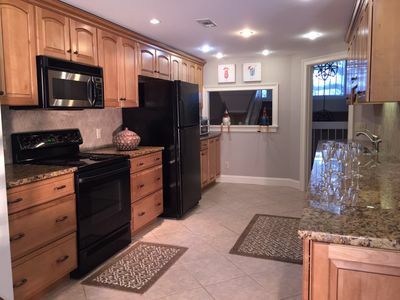 Completely remodeled, centrally located,community tennis and pool! 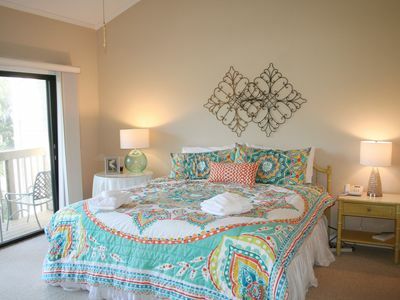 Book Now Beautiful Hilton Head Villa for fun in the sun. 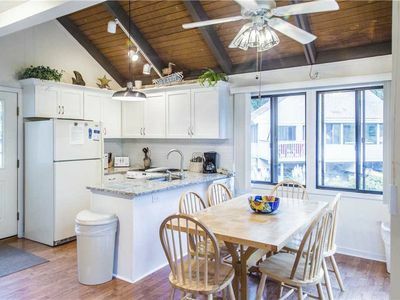 Minutes From The Beach! 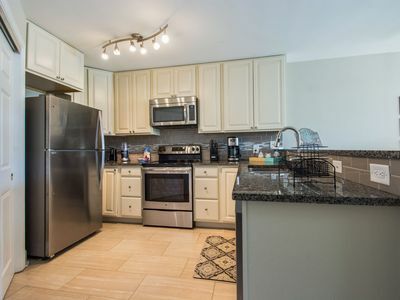 Everything You Need Within Walking Distance! 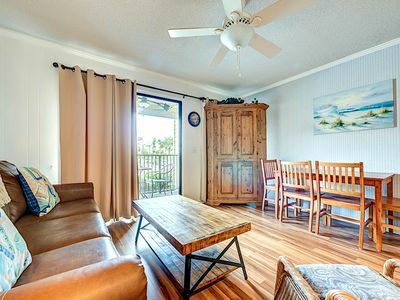 1412 S. Beach Villa-Beachfront! Steps to the beach or the marina. Refreshed, Renewed, and Waiting for You! 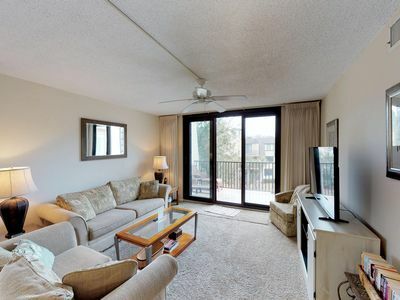 Comfortable condo w/ patio, shared pool, hot tub, beach access & more!